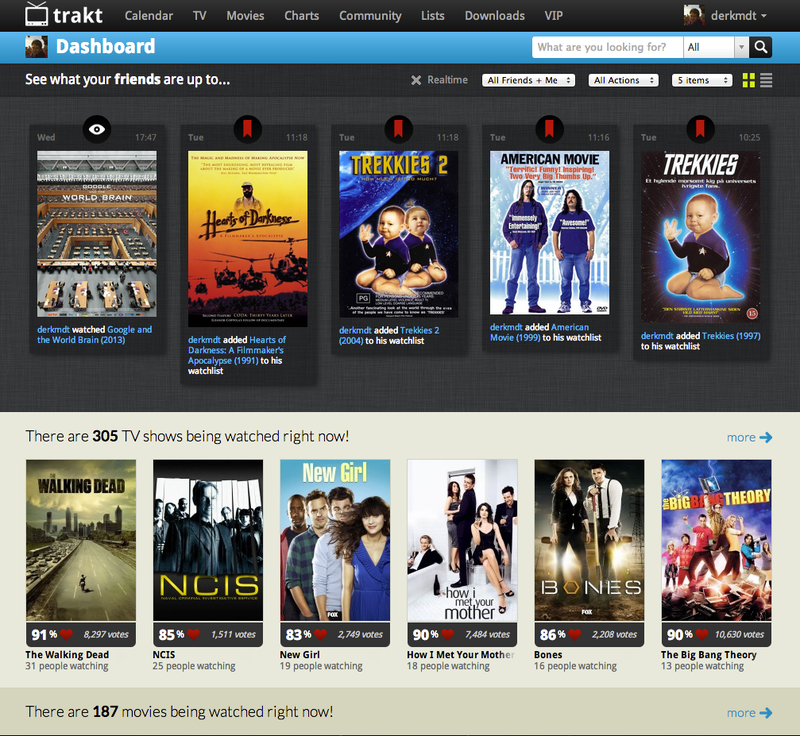 When I was searching for the best app for keeping track of my watched movies/series I found trakt.tv to be the best one. Months ago I already started adding movies that I wanted to see on imdb.com. But this was not a very nice listing system for keeping track of my movies I wanted to see or have seen. I’ve also looked at a similar service called follw.it, but I think the interface is less cool. 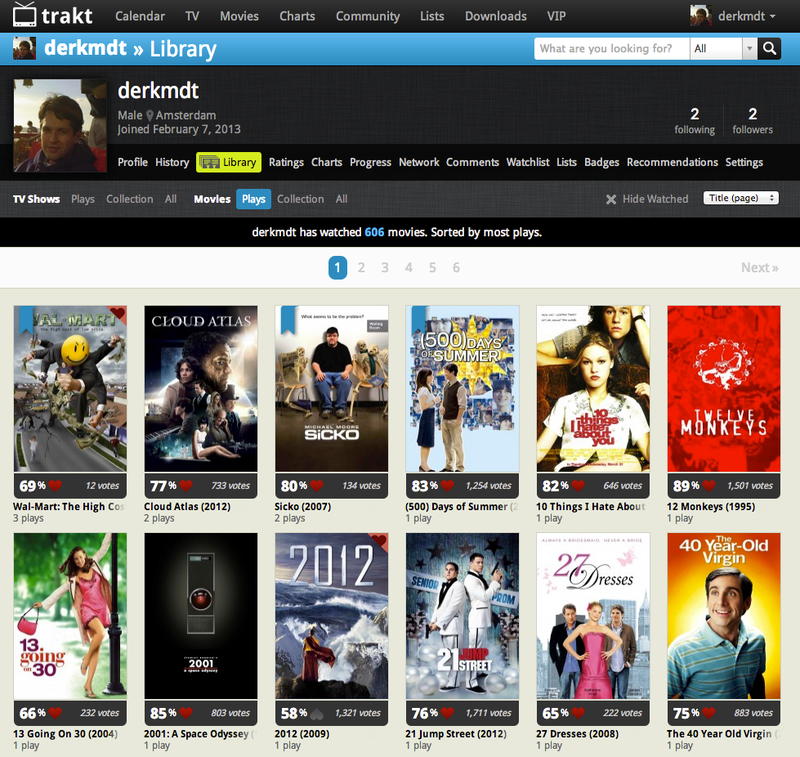 Trakt.tv is a social site about movies and television series, you can make friends here by following each other. 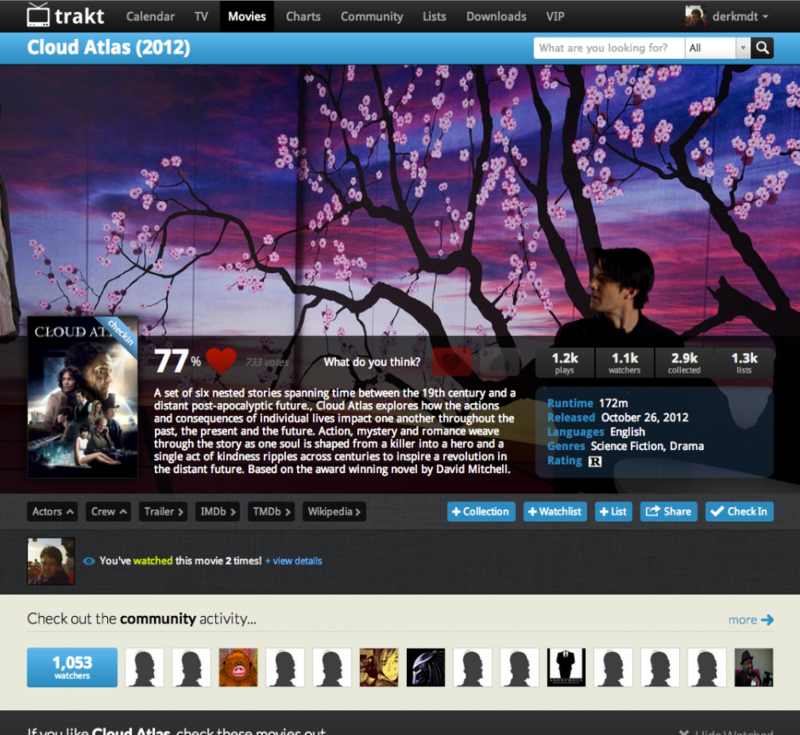 Next to that you can see lists of friends or lists that other users have made. If you want to see all the movies that you have seen in the past (this is probably allot…), the lists feature is great to browse and add to your collection! For example their is a 80’s classics list or a James Bond list. So you can easily use these lists as a reference for your own collection. You can also connect you Twitter and Facebook account so you can for example automatically post updates (I’m only sharing when I personally want to). I’ve already supported a new feature that I wanted to be their on trakt.tv, I wanted lists where my family or friends can contribute to (shared lists). 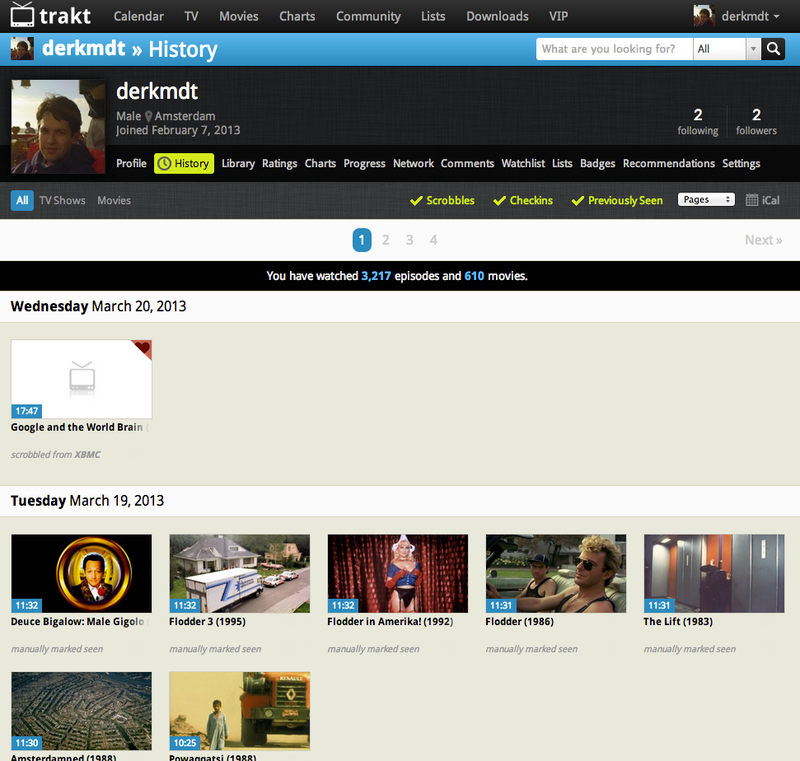 You can upvote this feature on the trakt.tv idea/support website here. Trakt is also working seamlessly with the “mediacenter” XBMC (or some other media center systems) as I found out, to keep track of what you are watching automatically. 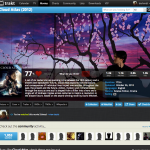 If the movie or episode of a serie is indexed by XBMC it will be marked as watched when you’ve watched it. 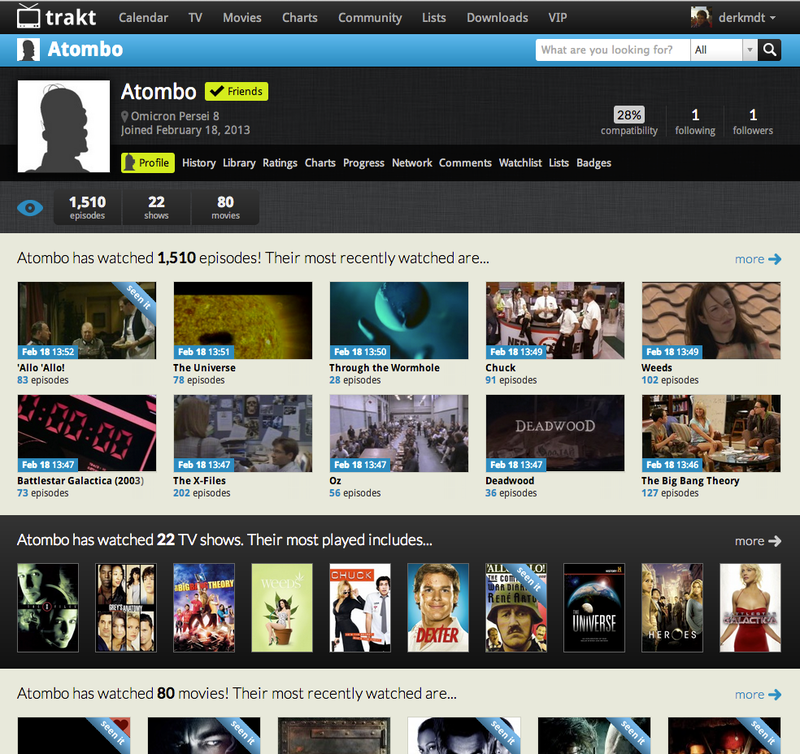 More on the trakt.tv XMBC add-on can be found here. 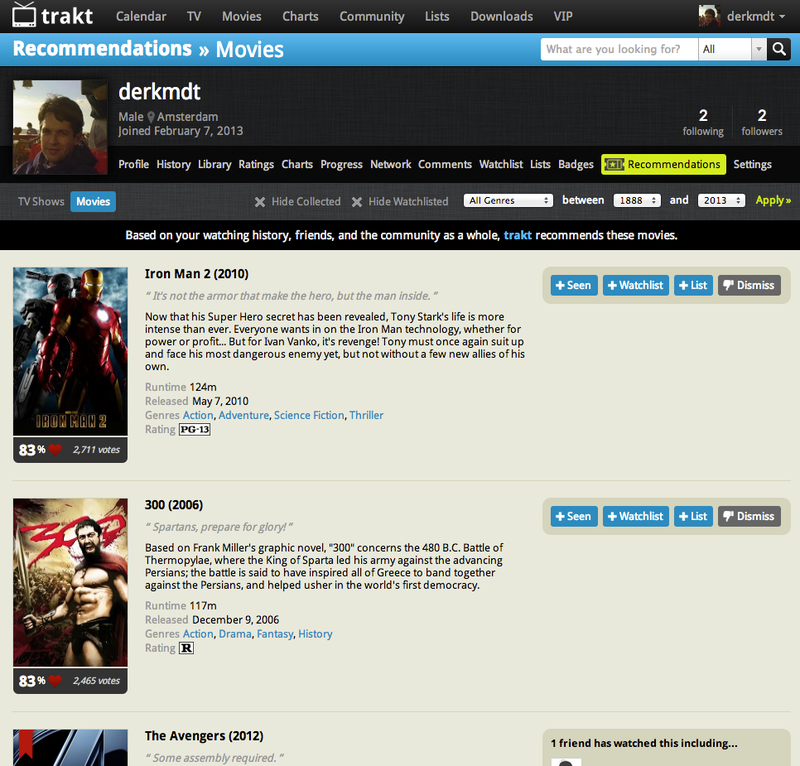 For the Google Chrome browser I also found a great Extension to add Trakt.tv functionality to IMDB.com. I’m currently contributing to this extension, so we can expand the pages that you can use it on. Let me know if you have any websites you want Trakt integrated in or when you have a comment on this. 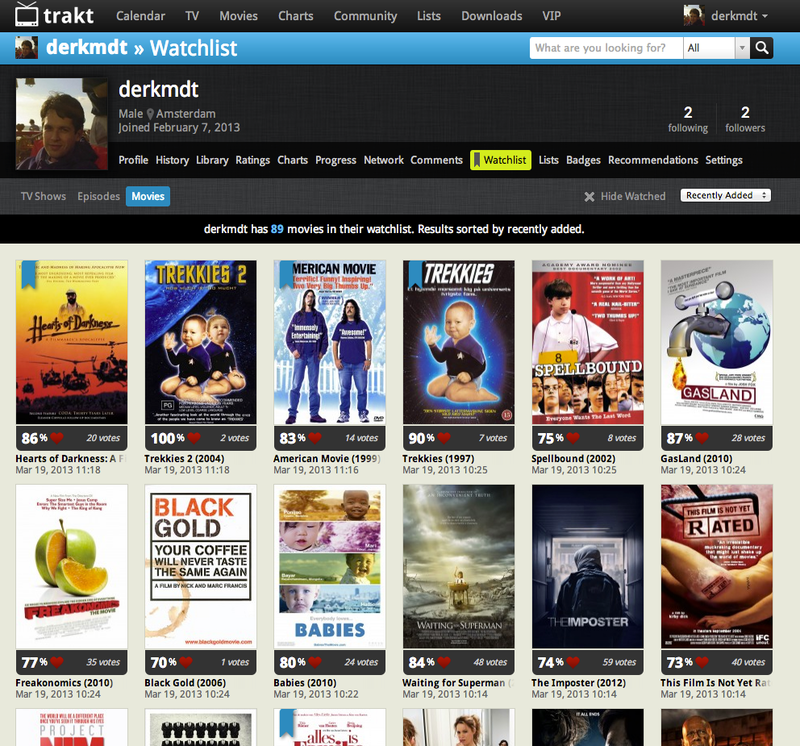 For WordPress their is also a trakt.tv plugin. I’m using a modified version of this plugin on this website on the homepage for sure. This entry was posted in General and tagged checkin, chrome extension, foursquare, getglue, imdb, lists, movies, series, trakt, xbmc, xbmc addon by admin. Bookmark the permalink.